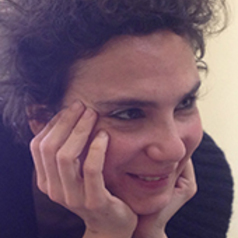 Maria Chiara Giorda is an Associate Professor of religious history in the Department of Humanities at Roma Tre University. She completed her PhD at the École Pratique des Hautes Etudes, V section, Sorbonne Paris in 2007. Since 2012 she has been a professor and coordinator of the Sociology and Media section of the Master of Religions and Cultural Mediation at La Sapienza University of Rome and coordinator of the Scientific Committee of the Benvenuti in Italia Foundation. She has been a contract professor of religious history at the Universities of Turin, Bologna and Rome La Sapienza and collaborated with the FBK Center for Religious Sciences since June 2016.